‘Transformers’ star, Shia LaBeouf, has released a short horror film based upon Kid Cudi’s track ‘Maniac’ from his album, ‘Man on the Moon II’. The 10-minute long short film was inspired by the song ‘Maniac’, but is in no means a music video. In fact, the song isn’t even featured in the movie. 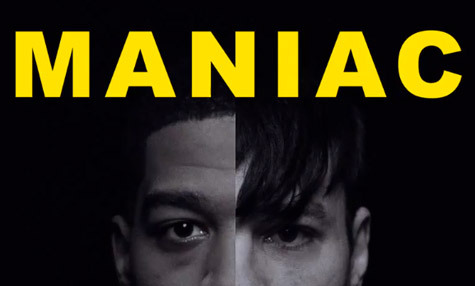 Kid Cudi created an original score for the short, but explains that his song might influence ‘Maniac’, but other than that, the two are unrelated. “Maniac is a short film inspired by the song. It is not a music video and it has no reference to the song content,” Cudi says. The film features Kid Cudi and New York rapper, Cage’ as two French-speaking serial killers as they are tracked by a film crew. Shia LaBeouf and Cage are good friends. The actor has been waiting for the opportunity to direct a movie that showcases the rapper for quite some time. “Cudi hit [Cage] up and did a song with him. Cage sent me the song, called ‘Maniac’, so initially, we started prepping this video, which is really like a short horror movie,” LaBeouf continued. And horror it is. In the opening frame, the audience is warned that the video may not be suitable for children under the age of eighteen. Although well shot and edited, the short is very graphic in nature. Be warned before choosing to watch the film below.